Diaper is defined as “a basic garment for infants consisting of a folded cloth or other absorbent material drawn up between the legs and fastened about the waist” by Merriam Webster dictionary. Now based on the requirement diapers are primarily used for infants and young children but they are also now used for elderly people and for adults suffering with mental or physical disabilities. Now-a-days people have started using them for pets too, so diapers have become an integral part of our lives. 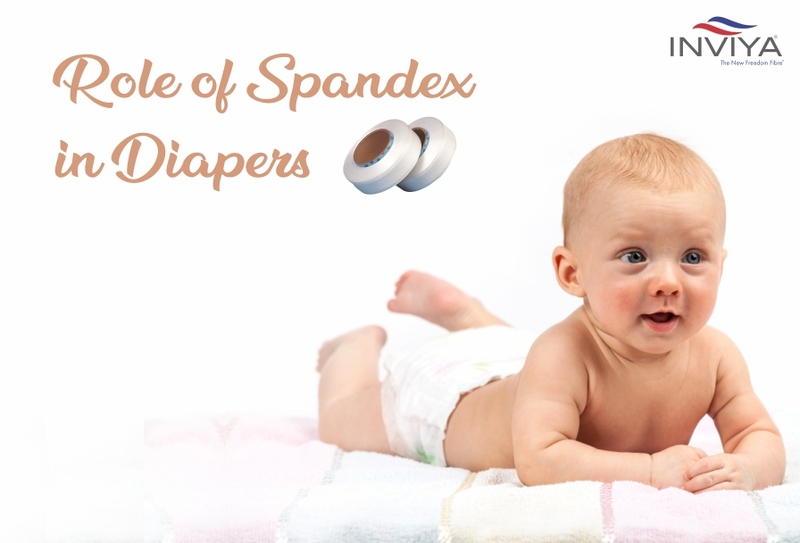 Here we will focus on the role of Elastane /Spandex fiber in diapers. In disposable diapers usually polyurethane or polyester foam elastics, and synthetic rubber or spandex elastics are used. But due to their properties now-days mostly spandex elastics are used.